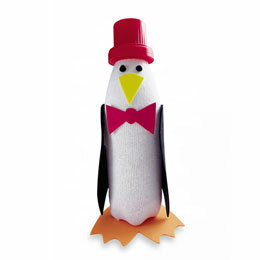 I found this adorable penguin on FamilyFun.com. What I really liked about this guy is that he is both a craft and a game. Have your kids used the instructions to make him, and then with a rubber ball make him waddle. They will have a lot of fun finding out who can make hin walk the farthest without falling over.